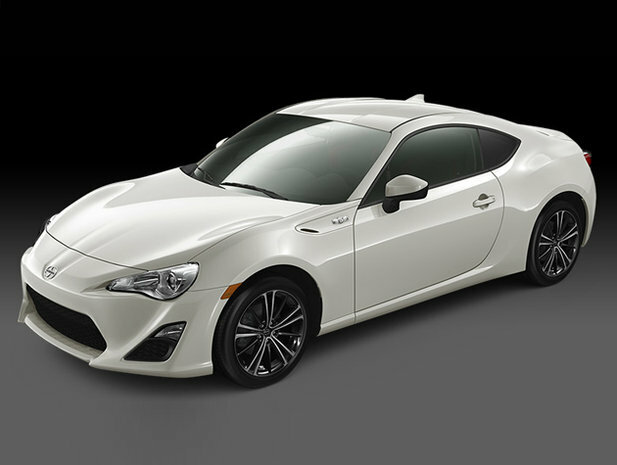 The Scion FR-S is not the kind of model that can be found on every street corner. In fact, the small two-door Scion is a car that focuses strictly on fun. This is a 2 + 2 coupe whose power is sent to the rear wheels to maximize driveability and handling. Furthermore, the FR-S’ lightweight frame makes it even more agile and enjoyable. The FR-S is the ideal model for a brand like Scion that is aimed at dynamic, young buyers that are interested in fun models to drive. The Scion FR-S fits perfectly with this philosophy. When driving the car, you feel connected to the road and every little movement of the steering wheel is transmitted to the car immediately. Turn the steering wheel a bit and the car changes direction immediately. Rowing through the gears is effortless and quick, maximizing driving pleasure. The seats in turn offer quite a bit of lateral support that keeps you firmly in place when cornering. They allow the driver to launch the car through any curve without sliding from one side to the other while being comfortable when driving around on a daily basis. Like any self-respecting sports car, the Scion FR-S offers a driver-oriented cockpit where everything is within hands reach. It is not difficult to find a perfect driving position and you feel immediately at ease behind the wheel of the small sporty little Scion. Under the hood, the Scion FR-S is powered by a four-cylinder, 2.0-liter engine that delivers 200 horsepower and 151 lb-ft of torque. The torque is delivered at high RPM to deliver thrilling performance, and when pushing the car on a circuit, this configuration is ideal. No doubt, the Scion FR-S is a true sports car. Obviously, the FR-S is perhaps not suited to serve as the primary vehicle for a large family. That being said, it still remains practical for a couple with its acceptable trunk and rear seats that could accommodate young children. It is also possible to install a child seat in the back of the FR-S. Despite its sporty side, the Scion FR-S is safe as it was named a Top Safety Pick by the IIHS in crash tests. If you are looking for a small and affordable sports car that will paste a smile on your face every time, come and try the new 2015 Scion FR-S today!